Denis Burstein was born on May 13, 1977 in Tver, Russia and comes from a family of musicians. The bright creative talent of the child was apparent at a very early age when he started his training with his father, a noted professor and respective musician. Denis quickly mastered the instrument technically and showed his ability as a composer, performing constantly his own original piano pieces. Denis was recognized as an unusual talent in the musical circles and became popular by performing regularly in different towns in Russia. He appeared with numerous symphony orchestras, performing piano concertos by Haydn, Mozart and Gershwin. In 1991 he took part in several Young Music Festivals in England and Germany achieving great success.In 1992 Denis was admitted to the Moscow Gnessin Specialized School, where he studied with Professor Vladimir Tropp. Denis continued his education with Vl. Tropp at the Russian Gnessin Academy of Music (1994-1999, graduated with the highest honors) and later at the Post-graduate Department of the Academy (1999-2001, PhD). In 2004 he was awarded a scholarship by the German Academic Exchange Service. This gave him an opportunity to study with Prof. Bernd Goetzke at the University of Music and Drama in Hanover (the Solo Class Programme 2004-2005).In 1993 Denis gave a Debut Recital at the Rachmaninov Hall of the Moscow Conservatoire. The following two years he took part in music festivals in Kuhmo (Finland) and in Davos, and as a result of his participation in these festivals he was invited to go on tour in Japan (Yokohama, Osaka, Nigata, Hiroshima). In 1996 he performed music for two pianos with Konstantin Lifschitz at the Royal Academy of Music in London. The same year he was invited to give two recitals in the Verdi Hall at the Milan Conservatoire.In October of 1997 Denis went on tour to Switzerland with the Tchaikovsky Symphony Orchestra under Vladimir Fedoseyev (Bern, Basel, Geneva and other cities). In 1998 he won the prize at the M. Rostropovich New Foundation Scholarship (Heinrich Neuhaus Scholarship) and in July 1999 was reinvited to play with the Bucharest Symphony Orchestra under Maestro Pascu-Radulescu.After his appearance at the International Piano Festival 1999 at Williams College presented by Taubman Institute (Williamstown, MA) Denis was invited to make his official US debut at the Third Annual Miami International Piano Festival of Discovery in February 2000. 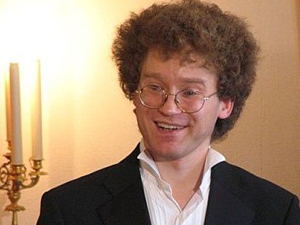 In 2001 he has performed his debut recital in Berlin Steinway-Haus, followed by appearances in Steinway Halls of New-York and London.In March 2002 he became a prizewinner at the 1st Scriabin Competition for Young Composers (the 3rd prize for Lewis Carroll Vocal Cycle).In January 2004 Denis had his debut with the Pennsylvania Sinfonia Orchestra under Allan Birney in Allentown, PA, and the same year he appeared with Tito Schipa Symphony Orchestra under Carlo Palleschi at the International Music Festival in Lecce, Italy.Denis Burstein has made numerous recordings for Kultura Broadcasting Company and TV channel “Blagovest” in Russia as well as live recordings for VAI and WLRN Public Radio and Television in the US.In 1999 Denis has been appointed officially as a professor at the Piano Faculty of the Russian Gnessin Academy of Music, and in 2001 he received his own class. Since 2006 he also works with post-graduate students. In 2004 he was appointed as a guest professor at KBS Conservatory in Seoul, Korea. Mr. Burstein is a frequent jury member of several national piano competitions and in addition he holds Master Classes across Russia and abroad (Florida International University, 2001; Kangnam University, Korea, 2004).